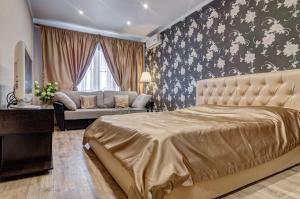 A-HOTEL.com - Luxury and cheap accommodation in Bogoslovka, Russia. Prices and hotel, apartment booking in Bogoslovka and surrounding. Situated 2.4 km from Sports Palace Burtasy, 3. Apartment on Ladojskay offers accommodation in Penza, 2.2 km from Sports Palace Burtasy and 3. Set in Penza, this apartment features a terrace with city views. Guests benefit from free WiFi and private parking available on site. Apartment on Stroiteley in Penza features accommodation with free WiFi, less than 1 km from Federal Centre of Cardiovascular Surgery, 1.9 km from Sports Palace Burtasy and 2. Located in Penza, 700 metres from Sports Palace Burtasy, Kagau Hotel on Prospect Stroiteley has a bar. Around 1. Set in Penza, Рядом Буртасы offers accommodation with a balcony and free WiFi. The property is less than 1 km from Federal Centre of Cardiovascular Surgery and 1. Located in Penza, 600 metres from Federal Centre of Cardiovascular Surgery, AZIMUT Hotel Penza features rooms with air conditioning and free WiFi. Boasting a 24-hour front desk, this property also provides guests with a restaurant. Кардиоцентр&Буртасы has a balcony and is set in Penza, within just 500 metres of Sports Palace Burtasy and 1.7 km of Federal Centre of Cardiovascular Surgery. Situated in Penza, 2.1 km from Federal Centre of Cardiovascular Surgery, Apartment Stroiteley 37 features air-conditioned accommodation with a balcony and free WiFi. Boasting accommodation with a balcony, Apartment on Borodina 20 is located in Penza. This apartment is 2. Situated 2.2 km from Federal Centre of Cardiovascular Surgery in Penza, Apartment on Stroiteley offers accommodation with a kitchen. Situated in Penza, within 2 km of Federal Centre of Cardiovascular Surgery and 2.3 km of Sports Palace Burtasy, Biryusinka offers accommodation with free WiFi. Apartment On Borodina 27 is set in Penza, 2.8 km from Federal Centre of Cardiovascular Surgery, 3. Set in Penza, 3.1 km from Federal Centre of Cardiovascular Surgery and 3. Apartments on ul. Borodina 4 offers accommodation in Penza, 2. Located in Penza, Apartments Borodin offers free WiFi and units fitted with a kitchen and seating area. Each unit is fully fitted with a washing machine, a flat-screen TV, a sofa and wardrobe. Apartment on Arbekovo offers accommodation in Penza. Guests benefit from balcony. Set in Penza, Provans Apartment on Stroiteley provides accommodation with a balcony and free WiFi. The property, housed in a building dating from 2017, is 2. Apartment Svetlana offers accommodation in Penza, 2.7 km from Federal Centre of Cardiovascular Surgery and 3 km from Sports Palace Burtasy.